Frank Mercy is an American expat in Brisbane, Australia, when his wife and unborn child perish in a tsunami. A former police officer, he is a volunteer first responder and helps rescue the survivors of the flood. 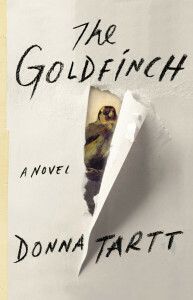 Among them is a mysterious young boy whom Frank feels compelled to protect and care for. He decides to bring the 3-year-old back to the States with him, but he soon realizes that the boy seems to have supernatural powers and that dangerous people are looking for him. Back in Wisconsin, Frank takes up the family business as a trainer of elite show jumping horses, hoping to put the past behind him and give the child as normal a life as he can have, given his powerful gift. 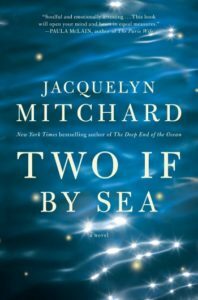 Two If by Sea is beautifully written, and Jacquelyn Mitchard is completely in command of her narrative. In addition, the main characters are well developed and complex. 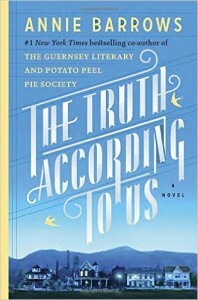 The book deals with family, grief and healing, and while it is sometimes dark, it remains deeply hopeful. The only negative comment I would have is that it seems a bit too easy for Frank to take the boy to the US, without legally adopting him. 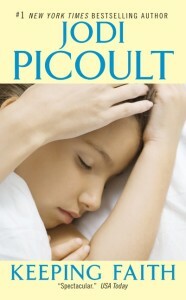 Other than that, this is a riveting book, definitely worth reading. Two If by Sea was sent to me for free in exchange for an honest review. About the author and her work: Jacquelyn Mitchard’s Website. Jacquelyn Mitchard has 9 children, and most of them are named after characters in fiction. 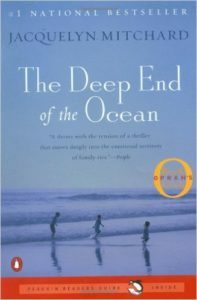 A financial advisor stole most of the author’s money after she became famous for writing The Deep End of the Ocean (the first Oprah Book Club pick). She had to sell her house in Madison, Wisconsin where part of Two If by Sea takes place. Jacquelyn Mitchard’s favorite novel is A Tree Grows in Brooklyn by Betty Smith. Like Frank Mercy, the author’s parents rode and trained horses in Wisconsin.